All the December shopping, cooking, planning, work deadlines, socializing and traveling leave little room for sleep and exercise, and the overindulging of food and drink leaves our bodies feeling blah or even a bit under the weather. Here’s how to get out of that post-holiday slump, and help your mind and body bounce back to normal. Take a lazy day. Allow yourself a day to do nothing. Binge watch your favorite TV series, indulge in a long nap, read a great book, or surf the internet. Ease out of the treats. Aim for better nutritional choices, but don’t set yourself up for failure by going from all the treats to nothing. Cut yourself some slack! Reset bedtimes. Without normal work and school routines over the holidays, bedtimes can easily get out of whack, so it’s time to return to a schedule and make sure everyone gets a good 8 hours of sleep a night. Plan something fun for the future. It can be a bit of a letdown after all the holiday hoopla, so start planning a fun vacation or take a new class. Last year I took a photography class after Christmas! Organize something. It’s amazing how great it can make you feel to put something messy back into order. It puts you in control and on top of things, something we all need to feel as we start a new year! Restock the medicine cabinet. A sore throat and cough can sneak up on you, and nobody feels like going to the store while sick. Have the essentials on hand before you need them. 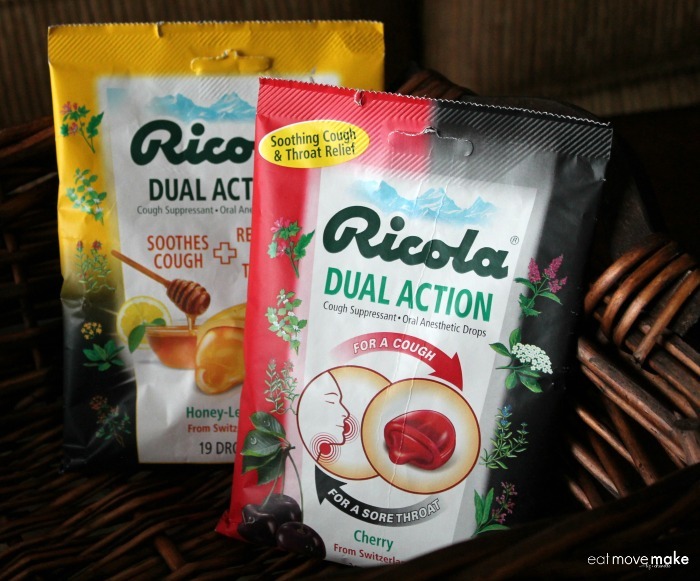 As you stock up, here’s a suggestion: Ricola Dual Action Cough Drops are multi-symptom cough drops that work to relieve both coughs and sore throats. The unique blend of ten natural Swiss alpine herbs, natural menthol and soothing syrup center provides fast, safe relief you can trust. Plus the two flavors of Swiss Cherry and Honey Lemon are super tasty! Here’s to a great new year for all of us! Always a good idea to be sure that the medicine cabinet is stocked and organized! The week after Christmas was rough! So many of our super fun plans had to be cancelled. The silver lining is that it allowed us time to work back up to the busyness of school & work. I’ve been taking too many lazy days during the holidays and it’s nice to be back on the daily grind! 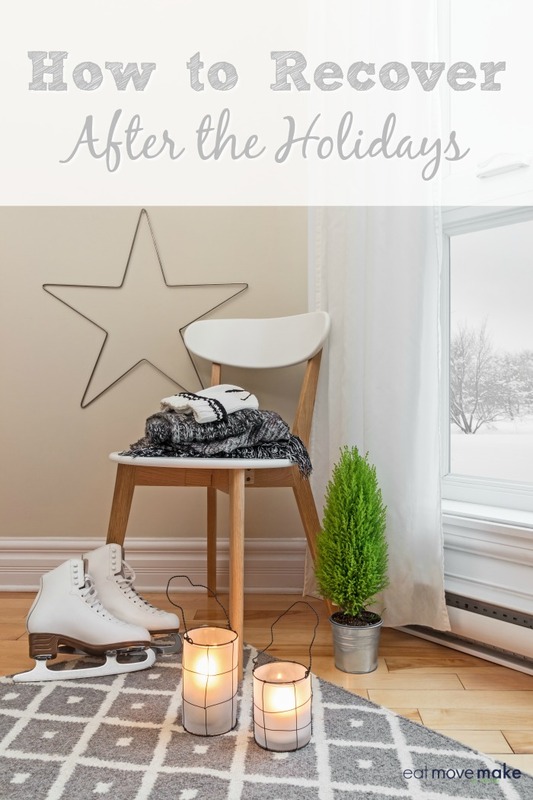 I love these tips, you can’t just ease out of the holidays on an instant! It’s awesome to be able to bounce back without having to force yourself. I needed a few lazy days to recover from the holidays. It was a huge whirlwind of exhausting activity! these are some awesome tips for getting back on track after the holidays. my friend was just really sick and she needed rest. now she is feeling a lot better. It is tough, but easing gradually off the treats is best. What is easier for us is lazing around for a day to do a favorite show/series marathon! I like the idea of taking a lazy day after all the hustle and bustle of the holiday season. It’s nice to do nothing for a change! I do like to keep Ricola on hand too. You never know when they are going to come in handy! I had a bit of sore throat these past few days. My usual Strepsils aren’t working, good to have come across this one! I was just so sick over the holidays and these Ricola drops really helped a lot! I am having a hard time adjusting back to the grind! I think adding a lazy day to my routine is key! I really need these tips right now! I need to recover from holiday as soon as possible! Trying all these tips! Thank you for sharing! Thanks for the reminder to restock the medicine! We all suffered colds during the holidays this year, and we are running low. these are all great tips! I definitely need to take care of me now that all my family holiday obligations are of the way and I will be going down this list and checking off each thing as I do it! Thanks for the recovery inspiration! It can be hard to adjust after the holidays. These are all great tips. Getting my bedtime back on track is something I have to do. Very good tips! My body does feel yucky and tired after the holidays so I can definitely use these tips to get back for 2017! Ahhhhhh, bedtimes.. we are failing here! My kids were late to school yesterday and I cannot get back into the routine yet! I like this list! 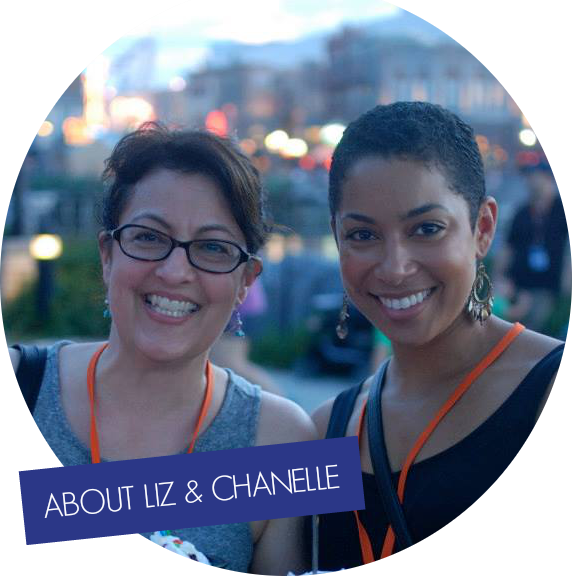 I do find that organizing and decluttering helps me feel more clear! We are also planning our spring break, thank you for this list! Coming out of the holidays can be a depressing time for many people. We should heed your advice and come out slowly. It can ease the dropoff we all feel after the holidays are over. Taking a lazy day is a great way to recharge after the Holidays. I will have to pick up some Ricola Dual Action Cough Drops. These are some great tips. I was sick around the holidays, and I still am. I always make sure to stock up on products for while you’re sick. I am trying to get my buns back in gear after the holidays and I am having a hard time adjusting. Today was super exhausting! Going to bed at an earlier time seems to have worked for me to reboost. These are great tips! These are some great tips for any time of the year! Always a good idea to be sure that the medicine cabinet is stocked and organized! I certainly needed to read this post! I feel toxic right after the holidays. I need quite a few of these things! We are in the process of resetting bedtime at our house. We have until next week off of school so we still have a few days! I do feel good when I organize. And that brand of cough drops is awesome. I just tried it for the first time last year and was instantly sure they were going to replace my Halls (and they did!). New Years Day was our lazy day. Two days before that we spent time cleaning and preparing for our dance party. There’s some great tips in this post for sure. These are great tips for recovering and getting back on track after the holidays. I need to ease off the treats for sure. I am definitely still recovering. Thanks for the great tips. These are great tips. I need to restock our medicine cabinet. We have all been sick this past week. We have been too. My son in law works in a school and a hospital so he brings home all the weird germs. I actually just had to go out and buy cold remedies and cough drops today. Yes! I need to do all of this! It is always busy at christmas here so I now need a break! I will be taking a lot of this advice and using it! Definitely need recovery after the holidays. Thanks for these useful tips. I keep Ricola on hand at all times. I’m a regular cold magnet, and after the holidays, it’s generally even worse. Happy New Year! Here’s hoping that 2017 is a great one. I always need to take a little break after the holidays. I get sssooo worn out from all the running around.